Starting a blog is easy, you donâ€™t really need any technical experience and you donâ€™t need to be an expert web designer, all you need is this tutorial, a great topic to blog about and a little bit of passion and some will power to start your own blog. 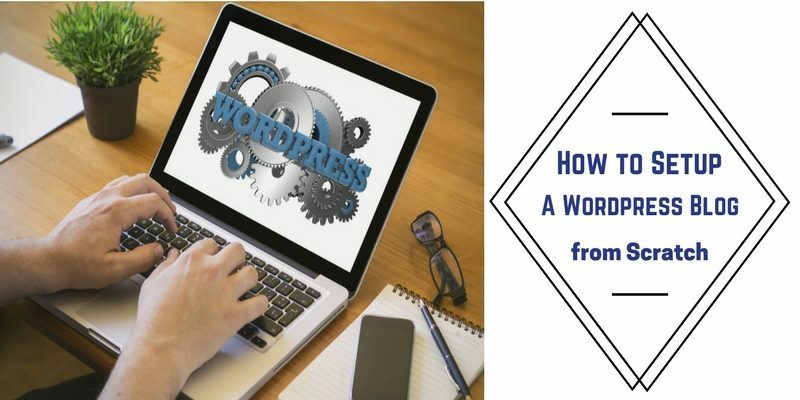 In this easy step by step tutorial Iâ€™m going to show you exactly how to start your own WordPress blog. WordPress is the most popular blogging platform used by the most popular blogs and it is also the easiest blogging platform to use. Also as it is so popular there are thousands of themes, plugins and tutorials available which allow you to make great looking functional blogs. This step by step tutorial will take you from start, to being ready to launch a blog. Choosing a topic for your blog is a crucial part of starting a successful blog. When it comes to starting a blog the topic you choose can either make or break your blog. There are many reasons for this but the biggest reason is if you are not passionate about the topic you are choosing or simply donâ€™t have the knowledge on the topic you will struggle to build your blog and become recognised in your field. When you choose a topic to blog about you need to make sure you know enough about the topic to create something of value and also that you are going to love writing articles about that topic, without these two important ingredients you wonâ€™t be able to create a blog that people will love coming back to for the great content. So we know that passion and knowledge play a big part in choosing the right topic, so the best way to choose a winning topic is to start by writing down the topics that you are interested in starting a blog about. When writing these down ask yourself two questions; how interested am I in this topic and how much do I already know about this topic. If your answers are a lot and a lot then you know you can start to create a blog around that topic. The key is to write down lots of ideas so you have plenty of choice when it comes to picking the right topic for you. When you have done this and picked the topic that you want to write about we are ready to move onto choosing the right name for your blog. If your stuck for ideas to start your blog about make sure you check out our list of 50 blog topic ideas to get you going. This is crucial to get right the first time as it is going to also become your domain name and once you have committed to a name it becomes hard to change it. So the name of your blog will also be the website address of your blog. When starting a blog it is probably the hardest step, but once you have it youâ€™ll be on the home straight for getting online. To get an idea of blog names take a look at this list of some of theÂ top blogs in the world, you can see how they relate their topic to their name choice. There is no real set criteria for coming up with a name as long as itâ€™s easy to spell and itâ€™s unique. The only thing you may struggle with is finding a name that is also available as a domain name. Once you have some potential names for you new blog, write them down then search them using theÂ GoDaddy domain search toolÂ to see what is available. When you have a name that is also available as a domain name we are ready to move onto the next step, hold back on buying the domain until you have read the next step. The next step in starting a blog is committing and getting yourself online. But before we begin there is just one quick decision you have to make, do you want a free blog or are you happy paying for a blog so you have your own domain and hosting. Free blogs are provided by sites likeÂ www.WordPress.comÂ orÂ www.Blogger.com. They have rules about advertising and also making money from your blog, the customisation options are limited and because your blog is free, if you do not stick by the terms and conditions they can shut your blog down at anytime which does mean you will lose your work. With your own self hosted blog you have the freedom to do what you want with it, you choose the name, there are no limits to your customisation options or even what you put on your blog, you will also have the option to make money from your blog by monetizing it with advertisement and affiliate products. Once you have decide what route you would like to choose we can move onto actually starting your blog. If you are going for the free option I would recommend either WordPress or Blogger, pick one and follow their step by step directions to signing up and starting a blog. For your own self hosted blog (which us what we recommend for becoming successful online) we have a step by step video for you to follow for setting up a blog. We recommend usingÂ BluehostÂ hosting for your blog, they offer a free domain name with one years hosting and they also have 1-click WordPress setup which is the blogging platform that we will be using. Hereâ€™s how to get your free domain name, 1 years hosting withÂ BluehostÂ and also how to install WordPress so you are ready to move onto the customization step. One of the many amazing things about using WordPress is how is easy it is to create an awesome looking blog. If youâ€™re just starting out in the world blogging you will soon realise the incredible amounts of themes, plugins and tutorials available for WordPress. To design a great looking blog we recommend purchasing a theme for your blog. This will give you the outline and the look of your blog, all you have to do is fill it with great content. However due to the huge amounts of themes available and customisation option available you will have plenty of opportunity to make your blog your own and design it just the way you want you want it. One of the biggest market places on the internet for themes isÂ Themeforest, they have a massive selection of themes ready for you to install and customise. WooThemes: Some of my favourite themes on here as they seem to pack them with so many features. Easy to use and customise and they also have a great support forum. StudioPress: Used by some of the worldâ€™s top bloggers and some of the Internets biggest sites. It uses a solid framework that you can customise in which ever way you want. DIY Themes: Thesis is a very powerful theme and has many options with a ton of skins available. This site runs on theÂ Thesis theme. Theme Forest: Themeforst is an online marketplace for all things WordPress and website building, they have a massive selection of themes available and each come with loads of options and easy to customise. Every single theme also has its own support forum where you can ask the creator questions. When starting a blog you will realise how important branding is, having a logo for your blog that you can use everywhere is incredibly important and will allow you to use everywhere from Twitter and Facebook profiles and much more. Although logos and branding can sometimes be expensive so I recommend usingÂ FiverrÂ for logos, you can get a great looking logo design for $5. Also make sure you check outÂ 8 Things Your New Blog Design Should Include, to find out what good blog design consist of and how you can leave a lasting impression with your new blog. Once you have a blog design that youâ€™re happy with its time to fill your blog with content. In this you should include the normal site information like about pages, contact pages and useful resources for your readers. However your main concentration should go into creating awesome blog posts that you can publish on a regular basis. when starting a blog the hardest bit to start with is to attract traffic to your blog and by creating great content you can bring crowds of people in to read what you have to say but it does have to be really good useful content that you think people will want to read. Try and have at least 5-7 posts published before you launch and have 10 backup posts so you can keep to a publishing schedule, you want to be able to publish regular content and keep your site up to date, people visit blogs because there is new content to read, if you donâ€™t have new content to read no one will visit. Once you are ready to launch get your self out there and attract new visitors. Start with creating Twitter and Facebook profiles they all help bring in new visitors. Next you want to find other blogs in your niche that accept guest posts and contact them about having your work published, this will help you to attract visitors and also work on your sites SEO. Traffic generation is a full-time game for any blogger and you have to know all the tricks in the book to become successful at it, so we have put together a list of ourÂ top 10 traffic generation strategiesÂ to get you started with driving traffic to your blog. Starting a blog is easy, it just takes time and the willingness to learn new skills. Below is a diagram showing you the process of starting a blog and taking it right through to creating something profitable online. 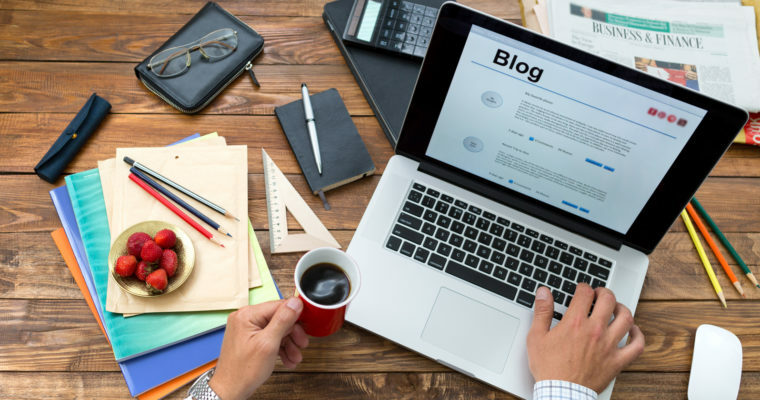 The key to a successful blog is great content and the ability to drive traffic to it, if you can learn these two skills you will be very, very successful online and you will have the ability to make a lot of money from your online efforts. Take time to learn how to create good content and try to get your work published on as many other blogs as you can to get your self known in your niche and also to get yourself recognised as an authority in your field. If you need help with creating great content and learning the art of writing try taking this course,Â Write Like Freddy, it teaches you how to create great contents and how to get guest posts published on other blogs. So now you know how to start a blog, itâ€™s a fairly straight forward process and you only have to do it once. However now that you have started a blog you are ready to start producing content and promoting your work so you can start to build an audience and grow your blog into something successful. If you have any questions about how to start a blog please use theÂ contact pageÂ to get in touch with us, we donâ€™t like to leave you hanging with no support, we try an answer all emails within 48 hours of receipt. Feel like you need more help with starting a blog? We have a great 5 day course, it is an in-depth tutorial for getting started successfully, use the form in the sidebar to sign up and start receiving the course.